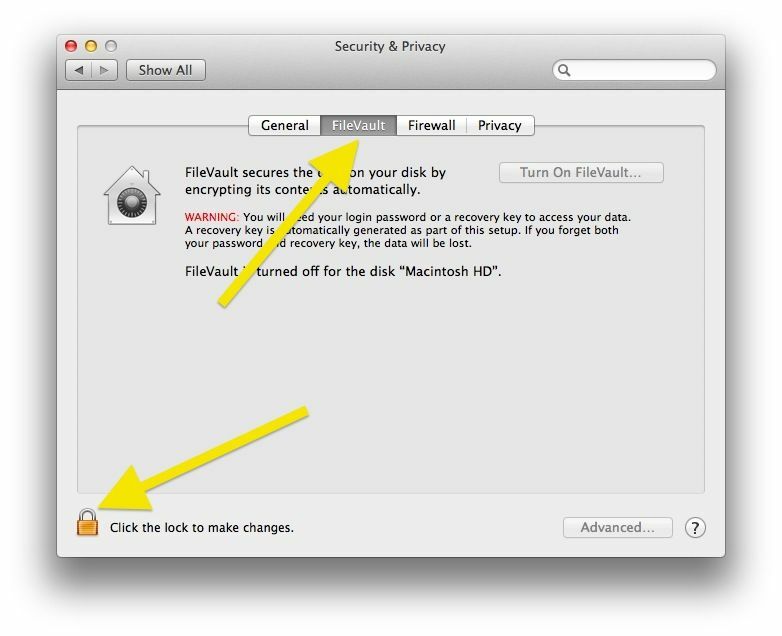 Once in there, click on the FileVault button at the top of the preference pane, and then click on the lock in the lower left corner. You’ll need to enter your administrator credentials here. 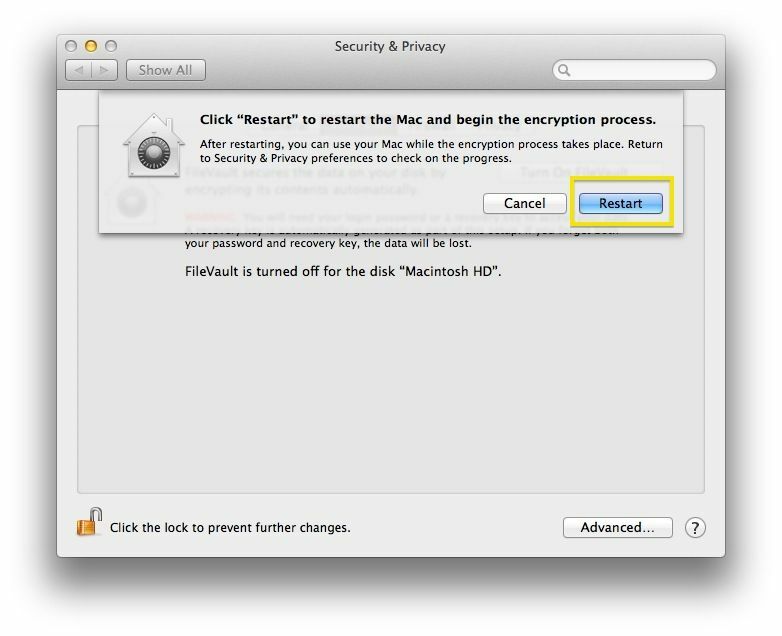 Next, click on Turn On FileVault, and you’ll be asked to choose the user accounts allowed to use the drive once it’s been encrypted. 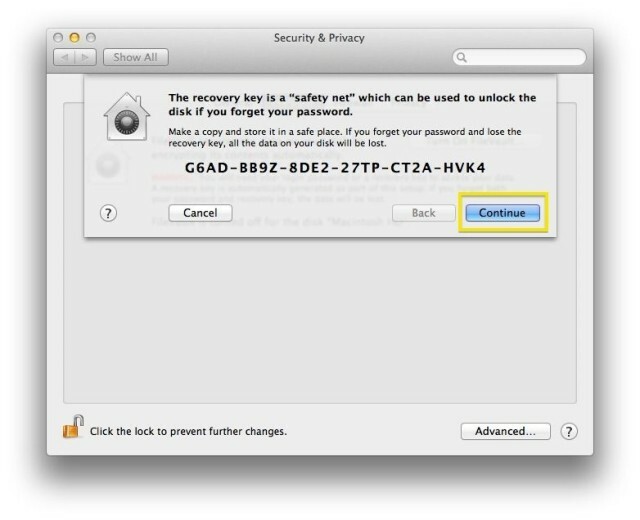 Enter the login name and password for each account you want to be able to use the FileVault-enabled volume. If you only have one user account, you won’t get this window. You’ll then get a Recovery Key. Copy this down immediately, and make sure you copied it correctly. 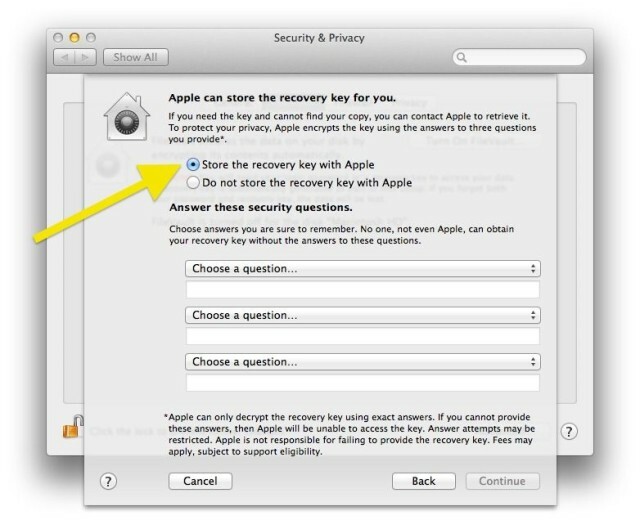 If you lose it, you’ll have to either contact Apple or be out of luck. This key is a safety net that lets you access the volume if you forget your password. Again, don’t lose this. When you click Continue on the recovery key dialog box, you’ll then have the option to store the Recovery Key for you or not. If you choose to let Apple keep your Recovery Key, you’ll have to choose three security questions that you’ll use to prove that you’re able to access the volume if you lose the Recovery Key and have to call Apple. Make sure you choose answers that you can remember specifically. Once done with all of that, click on the Restart button, and FileVault will start encrypting all your data when you reboot. 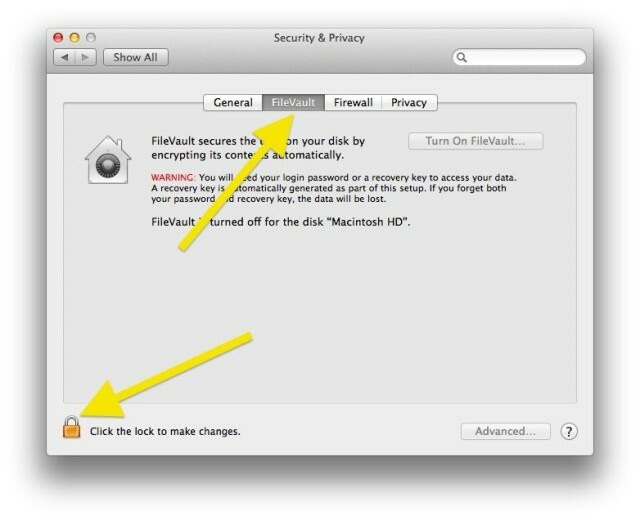 You can still use your Mac while that’s going on, too. 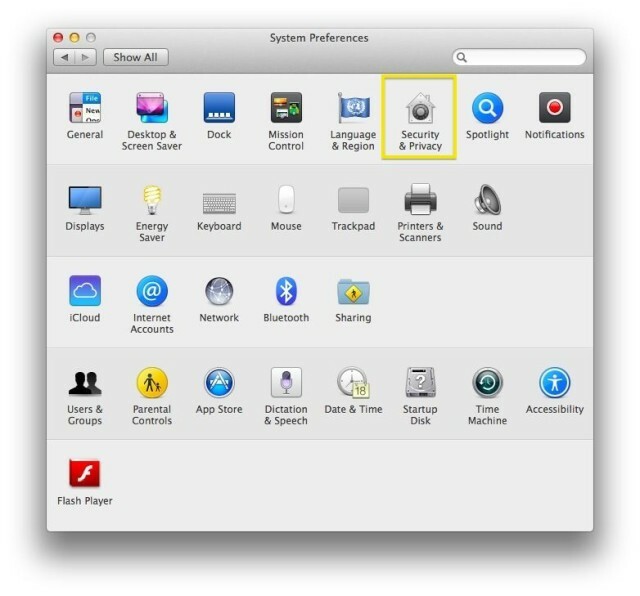 You’ll be able to see how far along in the encryption process your Mac is by opening up System Preferences > Security & Privacy preference pane again.